Yunesit’in (Stone) is located 114 km West of Williams Lake, turning South from highway 20 at Hanceville and continuing for another 10 km over the Tsilhqot’in River. The Yunesit’in Government Office can be reached at 250.394.4295. 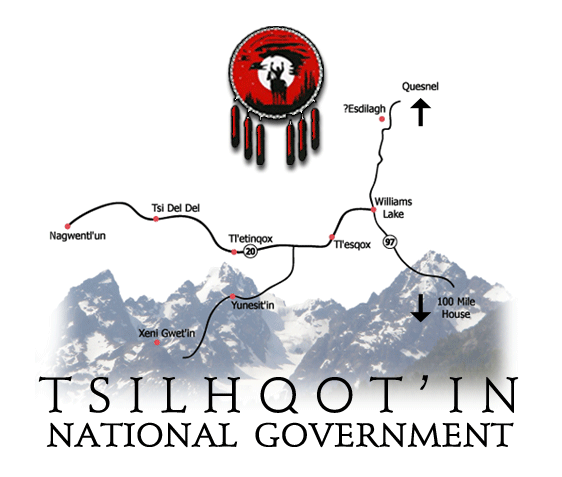 The Stone First Nation or Yunesit’in First Nation is a band government of the Yunesit’in subgroup of the Tsilhqot’in people, whose territory is the Chilcotin District in the western Central Interior region of the Canadian province of British Columbia. It is a member of the Tsilhqot’in Tribal Council. The people of the Stone First Nation are known as the Yunesit’in in the Chilcotin language. The Stone First Nation’s offices are located at the town of Hanceville, about 90 km west of Williams Lake. The Write to Read Project is an equal partnership between participating parties with a shared interest in increasing access to literacy materials for remote areas and in building cooperative relationships between urban groups and rural First Nations communities. The Write to Read Project is an original initiative of former Lieutenant Governor of British Columbia, the Honourable Steven Point. The liaison between the Government House Foundation and participating Rotary Clubs is former District Governor of Rotary District 5040 in BC, Bob Blacker. Write to Read BC © 2018 All Rights Reserved.